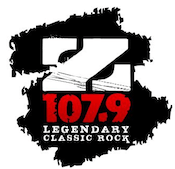 Clear Channel Active Rock “KDZA Rocks” KDZA-FM Pueblo/Colorado Springs has flipped to Classic Rock “Z107.9“. The new format being billed as “Legendary Classic Rock” is launching jockless with 10,000 songs in a row. The move shifts KDZA from direct competition with Bahakel’s 94.3 KILO to Cumulus’ 98.1 KKFM.